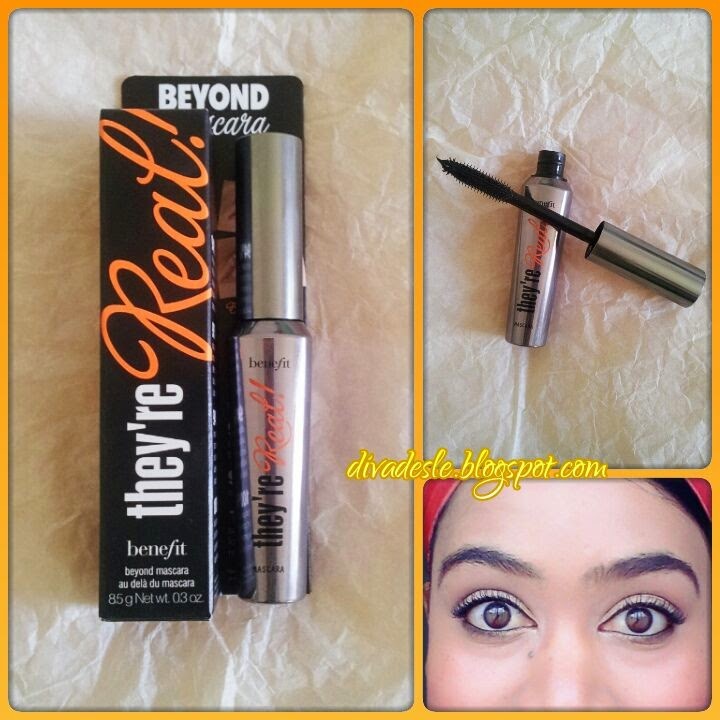 This week I bring to you a mascara review from Benefit called They're Real. I am not too familiar with the brand. This is my first Benefit product I have bought and used. I picked this up along with a foundation (review coming soon) at Sephora in Doha. Benefit has really cute and fun packaging. This of cause drew me to the counter in the first place as I love anything pretty and girly. The sales lady was super persistent that I should try this mascara so I gave it a go. The mascara comes in a gun metal tapered tube with a plastic wand. I generally prefer bristle brush wands to plastic ones as I feel they are much more gentle on the eyes. This wand is quite sturdy and the spikes on the head are really small so I am less likely to poke myself in the eye with it, thank goodness! At the tip of the wand the plastic bristles are a little longer and fan out so that you can be more precise in application when reaching the little inner corner lashes. On my first application I found the formula of the mascara to be thick and creamy. In one coat the lashes are visibly coated in the blackest of black mascara. My lashes lengthened and lifted with just one coat. On my second application, my lashes became much longer and more volumized. This mascara definitely lifts and lengthens lashes. After two coats my lashes looked longer and much more dramatic. The formula is quite thick and creamy, so I found that I could only do two coats on my lashes before they start getting clumpy and stick together. This mascara reminds me so much of the Miss Manga mascara by L'oreal. They both give dramatic doll like lashes but only two coats can be applied before it starts looking like a hot mess. As you can see in the picture above my lashes look thick and long after applying two coats. The mascara lasts all day long without smudging or flaking. I did long distance walking in the sun and some exercises wearing this mascara and it did not budge on my lashes. They kept their length and volume throughout the day. I actually like this plastic wand as it brushed each and every lash and lifted it giving my lashes a glam effect. I do have to warn you though that this mascara formula, I feel works best on those who already have thick lashes. The mascara is very thick, so it would make lashes that are sparse look really clumpy and heavy and stick together. If you have thick lashes this mascara would be great for a dramatic look without using false lashes.I have been enjoying this mascara this past month. 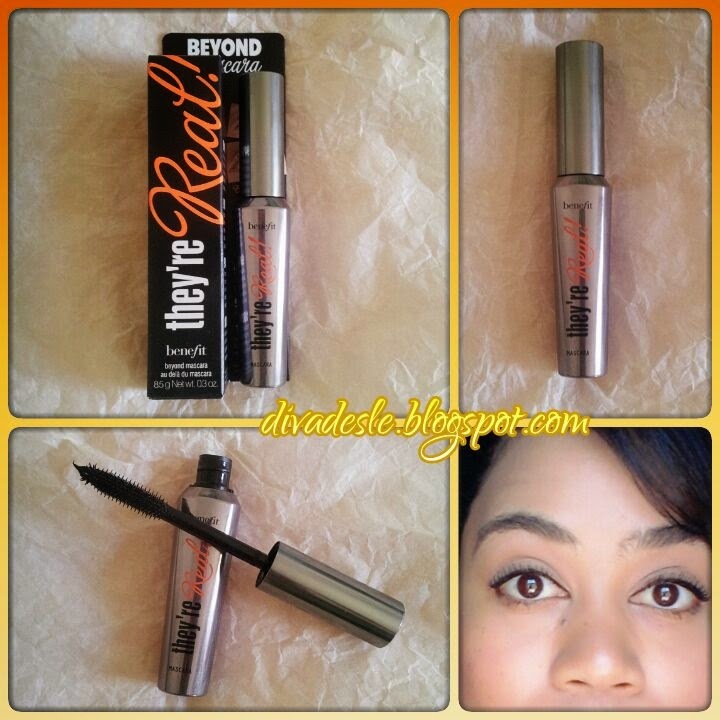 If you like the L'oreal Miss Manga Mascara then you should definitely give this one a try. Thank you so much for reading beauties. I hope you found this review helpful. Have a fantastic week Divas! I love this mascara and I really want to try their new one! I also really like Benefit blushes! this mascara worked so beautiful for you Desle! your lashes look great. Never tried this mascara before. What eyeshadow do you have on your lids?